Sussex secured their place in the quarter-finals of the NatWest T20 Blast after their match against Surrey at the Kia Oval was abandoned without a ball bowled. Umpires Rob Bailey and David Millns made the decision two hours before the scheduled 6.30pm start as persistent heavy rain, which had started at 8.30am, continued to fall. 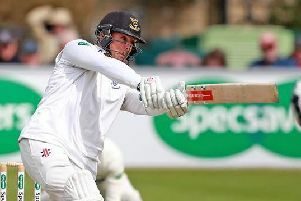 With both sides taking one point, Luke Wright’s team moved above Hampshire into second place behind group winners Kent by virtue of a better net run rate. Sussex were drawn with 2013 winners Northants in the last eight. The game will be played at Hove on Wednesday, August 12 (6.30pm start). Rest of the draw: Kent v Lancs, Warwicks v Essex, Worcs v Hants.